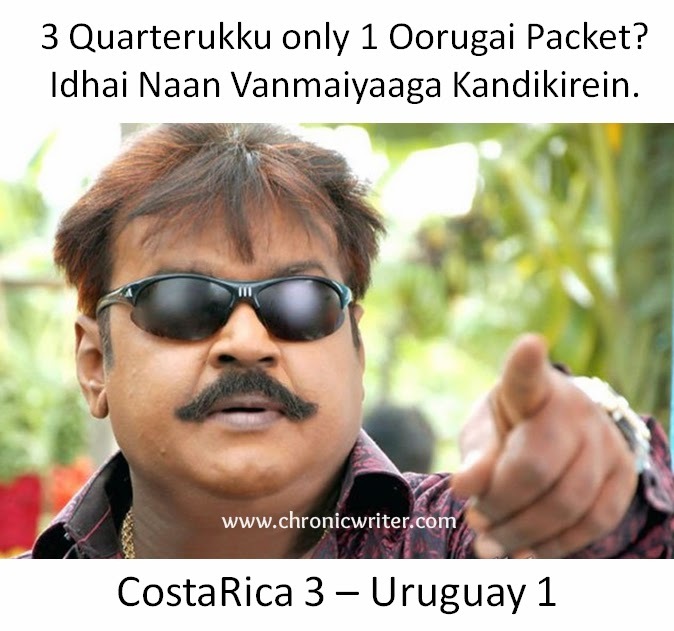 Gabtun Vijaykanth got the shock of his life when Costa Rica thumped Uruguay by 3 goals to 1. When he read the results in a newspaper, it has been reported that he sweated a lot and also experienced mild head ache. His BP also shot to an all time high. Only after people consoled him and explained the whole situation, he came back to normalcy. The reason behind Gabtun getting a shock is explained in the following picture. 653. Captain is angry with Jai mani. 652. Who is the best dad? 649. Are we buying Junk ?